Did you know that, according to Environment Canada, more than 1,000 bears are killed every year, in British Columbia alone? That is a sad, but very real statistic. A majority of them are lured by the irresistible scent of garbage and other human food stuffs. Bears have very sensitive noses, probably the best sense of smell of any creature on the planet. I have long assumed that, that was the, humble, dog’s greatest claim to fame, Several sources say that a blood hound, the best sniffer in the canine lineage, for example, can track a scent from 300 times further away than we can. That’s pretty amazing, right? 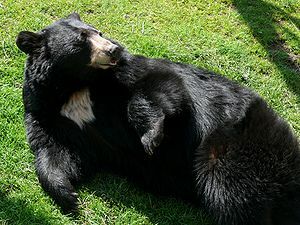 Well, be ready to be even more amazed, because your average Black Bear, can detect that same smell from at least six times further away than even the keenest nosed hound. Rest assured, he’ll smell you long before you’d smell him. With their brilliant noses, Bears are superb at hunting down sources of food. They can detect dead prey from miles away, So, assume they can also detect the presence of human waste and garbage from a very long way off too, especially the “pongy” type. 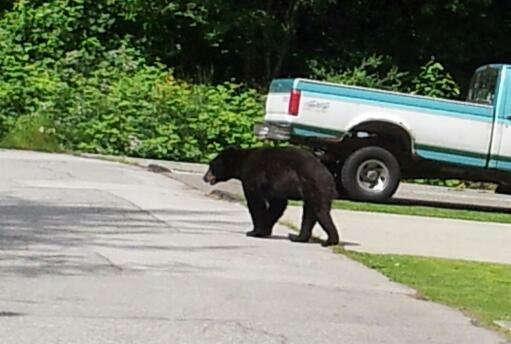 In Port Coquitlam, as in many other parts of the world, whether it is to do with global warming or some other strange, weather shifting, phenomenon, the winters are becoming milder and the bear population sees less or no need for hibernation. So even in the middle of winter, these guys are out there foraging for food. 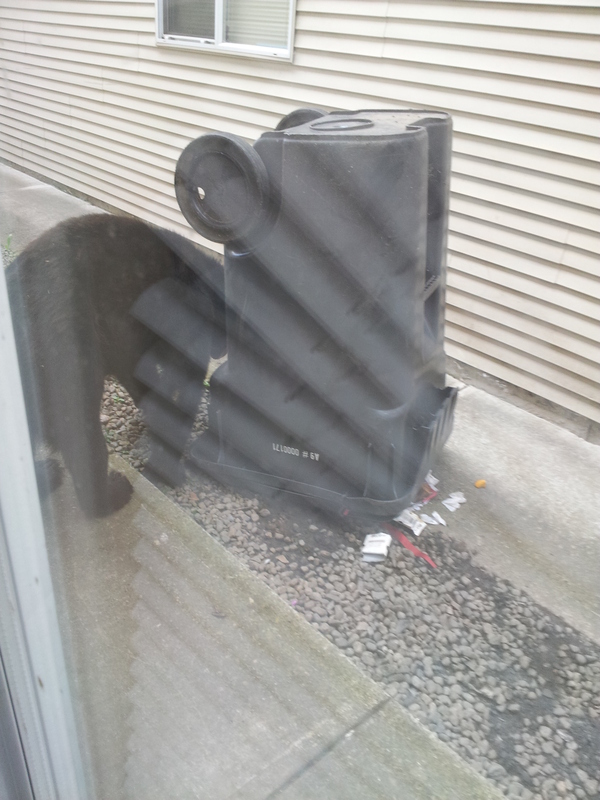 To hungry bears, our trash must seem like an oases in the desert a veritable horn-of-plenty as it were. You can be fined rather heavily, for letting the critters chow down on your trash. Oh, and don’t think that hiding your garbage away is going to work either. My neighbor, several houses down, went to great expense to build a bear proof shed, A solid, impenetrable, vault in which to safely store his disposables. Well, the poor “chap” came out early one morning, to investigate a strange noise, only to find his beautiful lean-to, in ruins. A side wall had been smashed into submission! There was a gaping, bear-sized hole in it, surrounded by tell-tale claw marks. The contents were strewn all around. They have come out with “Bear Proof” bins, and retro fitted devices that help keep these guys out of our “stuff” now, but we have to leave them unlocked on garbage day and that is when Yogi and his buddies choose to strike. We live, fairly, close to a forested area, and as you can see by my pictures, these guys have become a real pest. They visit us every, single garbage day. They, used to, come out in the middle of the night, when our bins were at the curbside. Then we cunning humans smartened up, and by we, I mean everyone in the neighborhood, started putting our receptacles out early in the morning. For a while, that seemed to do the trick. The bears are getting wilier though, and much more brazen, until their raids commonly took place in the harsh, glaring light of day. Our bins have been going out, later and later still, until we are now in serious danger of missing the truck all together! 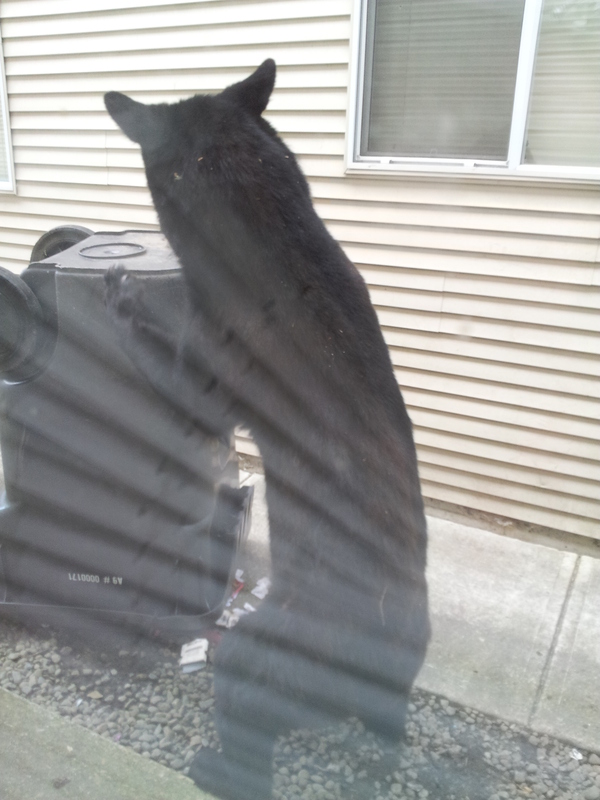 Our Ursine cousins are pesky and persistent they come back to feast at will. They just love our garbage. The sad thing is, that so often the only practical solution is to have them shot, Relocation has proven to be very expensive and perilous pursuit and seldom seems to work. Once these critters get used to human interaction and the taste of our food, they seldom revert back to their natural sources for nourishment. It is a perplexing problem, and one that wont be solved any time soon. We are destroying the bears’ natural habitat at such an alarming rate, that living in close quarters with these woodland denizens has become commonplace. We are advised by our conservation officers to cut them a wide berth, and let them be. That is becoming an all-consuming and ineffective solution.